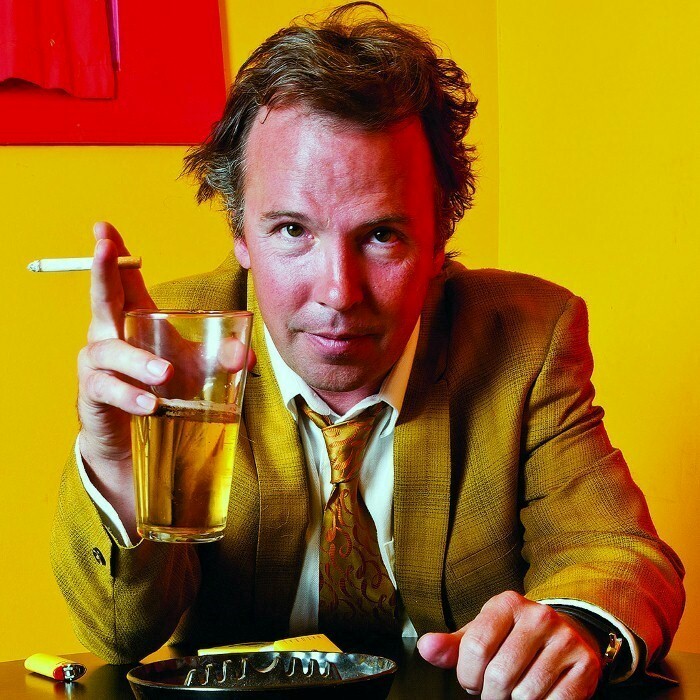 Douglas Gene "Doug" Stanhope (born March 25, 1967) is an American stand-up comedian, actor and author known for his abrasive comedy style. Stanhope quit high school after his freshman year. His comedy career began in 1990 in Las Vegas. He has made appearances at several major comedy festivals, including the Montreal Just For Laughs, US Comedy Arts Festival in Aspen, Colorado, the Chicago Comedy Festival and the Edinburgh Festival Fringe in Scotland, where he won the Strathmore Press Award in 2002. Stanhope was the winner of the 1995 San Francisco International Comedy Competition where he edged out Dane Cook in a three-week contest. He has appeared in dozens of national and international standup comedy television specials. He claims that his appearance on the BBC television show, Live Floor Show, (broadcast March 20, 2003) was fueled by "ecstasy". According to Stanhope, "TV is just for the money; live performance is where it’s at."